ROY HELU-RB-Redskins- Helu is the third Redskin’s RB to get the starting job this season. Tim Hightower began the season in that role but two weeks ago was placed on IR with a torn left ACL. Ryan Torian took over but has been totally ineffective with 11 carries for 11 yards in the last 2 games. Helu, a 4th round pick out of Nebraska, exploded last week with 14 receptions and 105 yards. He’s the first Redskin’s RB to to reach 100+ receiving yards in over 200 games! He also rushed for 41 yards on 10 carries. 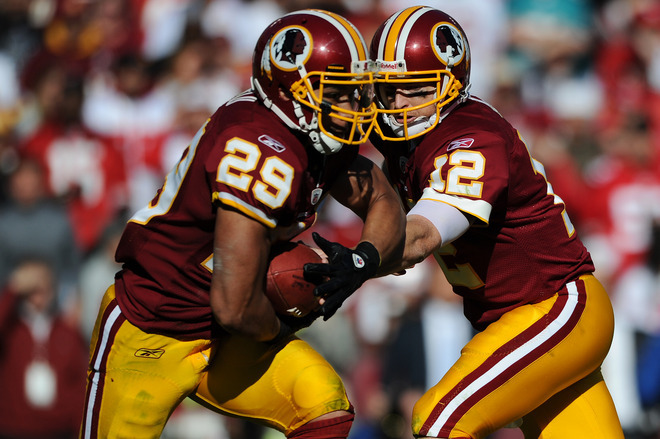 With QB John Beck struggling to establish a formidable offense, Helu should be able to contribute going forward. Stash him if you can as he is still available in 50% of Yahoo! leagues. STEVE BREASTON-WR-Chiefs-We can recommend the ‘Breastman’ no higher than a WR3 at this point because as Matt Cassel goes so goes his WR’s and he has been a bit eratic at best. What we do like are his 15 receptions over the past three weeks and his 16.4 average yards per reception. For the season he has 450 total receiving yards and 2 TDs, (so you could do worse). With two favorable matchups against the very generous secondaries of the Broncos and Patriots over the next two weeks, Breaston, owned in just 37% of Yahoo! leagues, might help in 12 player & deeper leagues. 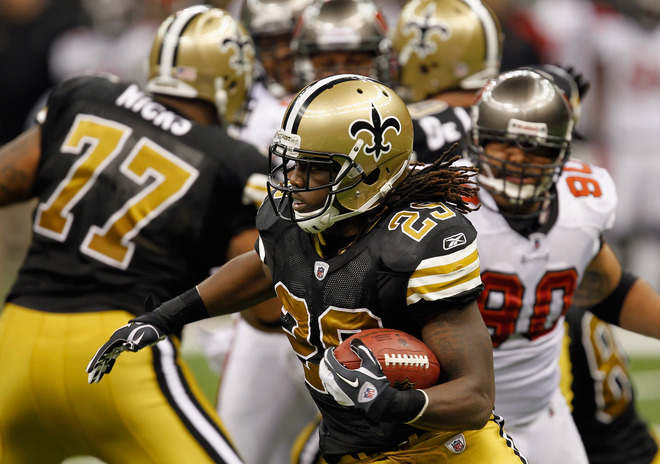 CHRISTOPHER IVORY-RB-Saints- Ivory got his first start since coming off the PUP list with a bad foot injury, and had a team high 15 carries and 67 yards. With Mark Ingram out last week and probably this week as well, (the Saints have a bye after the Falcon game this week), Ivory becomes a decent rental until Ingram’s return. Atlanta, stingy against the run, could force some opportunities for Chris in the passing game as well. If you need to fill a RB2 or flex option for just this week due to injuries or byes, then pick him up. He’s only owned in 5% of Yahoo! leagues. 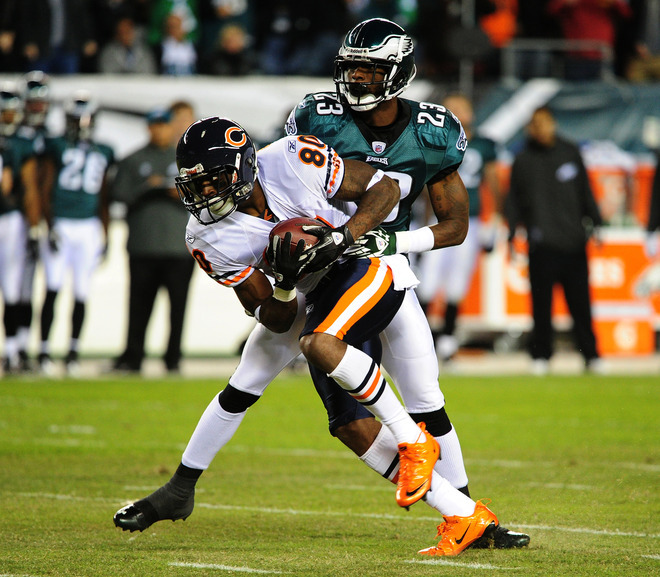 EARL BENNETT-WR-Bears- The 3rd year wideout made his first start in seven games after being out with a chest injury. He hauled in five receptions for 95 yards and a touchdown against the Eagles on MNF. Head coach Lovie Smith said, “He’s a steady player that can do a lot for you. He makes a lot of plays.” QB Jay Cutler played together when they were at Vanderbilt together so each is familiar with the other and we all know how important that is. Cutler said, “He’s able to to catch and run after the catch” …”he’s a special player”. Bennett has a 3 year average per reception of just under 13 yards. He is available in 86% of Yahoo! leagues. 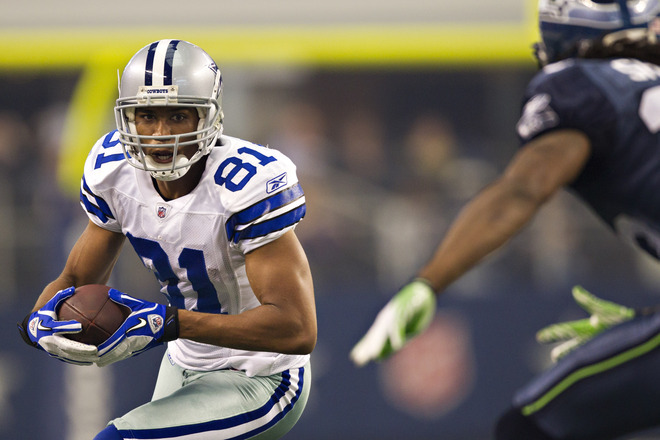 LAURENT ROBINSON-WR-Cowboys-With WR Miles Austin (hamstring) out for the next 2-4 weeks Robinson becomes a must add if you’re in need of a WR2. Over the last two games, he has been targeted 13 times and had 10 receptions for 135 yards and two touchdowns. The remainder of the Cowboys’ games look promising as well with the Bills, Redskins, Dolphins, and Cardinals all on the menu over the next four weeks, and all who give up miles of yardage through the air. Robinson is only owned in 36% of Yahoo! leagues so there’s no excuse for not picking him up unless you’re stacked at WR.